Elk Grove Police arrested two suspects yesterday on suspicion of drunk driving and apprehended two other suspects with outstanding arrest warrants. 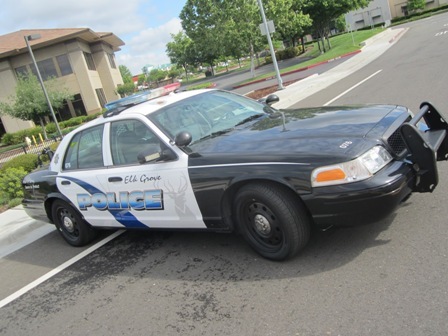 The first incident happened early last night when a vehicle driven by 47-year old Damonte Eastman of Elk Grove was stopped on the 7300 block of Laguna Boulevard by a Sacramento County Sheriff Department Deputy for a vehicle code violation. An EGPD officer responded to assist the deputy with a DUI evaluation and upon contact, the suspect reportedly displayed objective signs of impairment. Eastman failed a field sobriety tests and was arrested. The other DUI arrest occurred after EGPD officers responded to a verbal disturbance near Big Horn and Franklin boulevards. When officers arrived, they observed 45-year old Tammy Benavidez of Sacramento driving away from the location. Officers conducted a vehicle stop for a vehicle code violation and contacted Benavidez who reportedly displayed objective signs of impairment. After failing a field sobriety test Benavidez was taken into custody. In other activity, officers also arrested 19-year old Jesse Dalton of Sacramento. Dalton is being held at the county jail and is not eligible for release on a felony commitment rearrest for grand theft. The other suspect was apprehended was 24-year old Albert Ybarra following a traffic stop and a records check. Ybarra was booked into the county jail but has been released on bail.